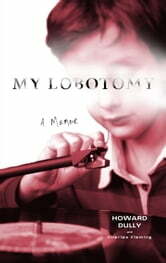 In this heartfelt memoir from one of the youngest recipients of the transorbital lobotamy, Howard Dully shares the story of a painfully dysfunctional childhood, a misspent youth, his struggle to claim the life that was taken from him, and his redemption. At twelve, Howard Dully was guilty of the same crimes as other boys his age: he was moody and messy, rambunctious with his brothers, contrary just to prove a point, and perpetually at odds with his parents. Yet somehow, this normal boy became one of the youngest people on whom Dr. Walter Freeman performed his barbaric transorbital—or ice pick—lobotomy. Abandoned by his family within a year of the surgery, Howard spent his teen years in mental institutions, his twenties in jail, and his thirties in a bottle. It wasn’t until he was in his forties that Howard began to pull his life together. But even as he began to live the “normal” life he had been denied, Howard struggled with one question: Why? There were only three people who would know the truth: Freeman, the man who performed the procedure; Lou, his cold and demanding stepmother who brought Howard to the doctor’s attention; and his father, Rodney. Of the three, only Rodney, the man who hadn’t intervened on his son’s behalf, was still living. Time was running out. Stable and happy for the first time in decades, Howard began to search for answers. Through his research, Howard met other lobotomy patients and their families, talked with one of Freeman’s sons about his father’s controversial life’s work, and confronted Rodney about his complicity. And, in the archive where the doctor’s files are stored, he finally came face to face with the truth. Revealing what happened to a child no one—not his father, not the medical community, not the state—was willing to protect, My Lobotomy exposes a shameful chapter in the history of the treatment of mental illness. Yet, ultimately, this is a powerful and moving chronicle of the life of one man. Howard's memoir is a moving, honest journey. Inspiring, provocative, brave and beautiful. Thank you! Left me dad, angry and indignant. This story made me sad and angry. I am horrified that this could happen to a child and not one person stepped foward to help him. Fantastic story and very well written. Certainly kept me reading. It is hard to understand how people can treat others the way they do. Hope Howard lives the rest of his years in peace, seems as if he will, he is a strong man. This book is well written. It's strangely an easy read about a really terrible thing. It's so tragic that this happened to a child, and no one was there to defend him. Keep the Kleenex handy when you read this book. I am very glad to have read this story. As part of a generation too young to understand the outrageous practices carried out by the medical field well beyond my years; I find that the basic "Wikipedia" excerpts don't do what happened enough justice. Just plain black and white words. This story conveys the depth and the light to bring forth a personal affect, a distinct reality. If you are interested in memoirs and biographies I highly recommend this book, it is very well written.